Over the past few years, there is no doubt B-Town's favourite talk show host Karan Johar has become a style icon in his own right. Just a peek at his Instagram account is enough to give you all the fashion inspiration you need. The filmmaker/director's sartorial sense has transformed into what can only be described as glamorous and always on point. But his wardrobe of quality bags, jackets and casual chic shirts are not the only things to be envious of.His shoe collection range is a sight for sore eyes. You'll definitely want a few items from that pile. 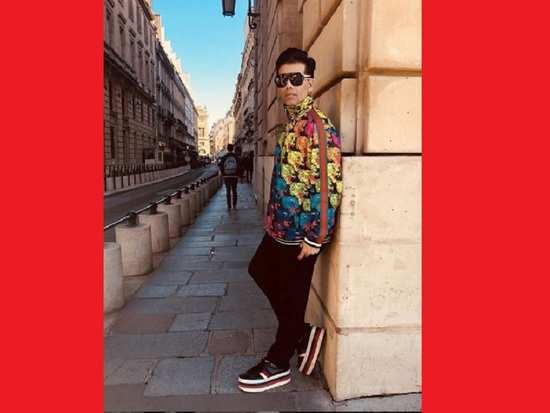 The 'Koffee with Karan' host has got a pair for practically every occasion whether it is a bold striking pair for a black tie event or trendy sneaker to roam around in. So whether you are looking for the right gift for your man or want to get him to get some style (you know he needs an update when it comes to his wardrobe), check out this fashion icon's fabulous footwear. For his next project, Johar will be directing 'Takht', which will star Anil Kapoor, Ranveer Singh, Kareena Kapoor Khan, Vicky Kaushal, Alia Bhatt, Janhvi Kapoor and Bhumi Pednekar. The movie is set to be released in 2020. This video of Sara Ali Khan and Malaika Arora is setting the bar high for fitness goals this year! 4This video of Sara Ali Khan and Malaika Arora is setting the bar high for fitness goals this year! 7B-town celebs take the 10-year challenge and boy is it a sight for sore eyes! 10Twinkle Khanna's hilarious attempt at martial arts will leave you in splits!